Java allows you to play online games, chat with people around the world, calculate your mortgage interest, and view images in 3D. These applications, written in the Java programming language and access from your browse, are called applets. Corporations also use Java applets for intranet applications and other e-business solutions. Java is used by companies in all major industries. Whether deployed on cell phones, embedded devices, game consoles, laptops, or in datacenters, Java offers the rich user interface, performance, versatility, portability, and security that today's networked applications require. Java Platform Standard Edition software is the premier platform for rapidly developing and deploying secure, portable applications that run on server and desktop systems spanning most operating systems. 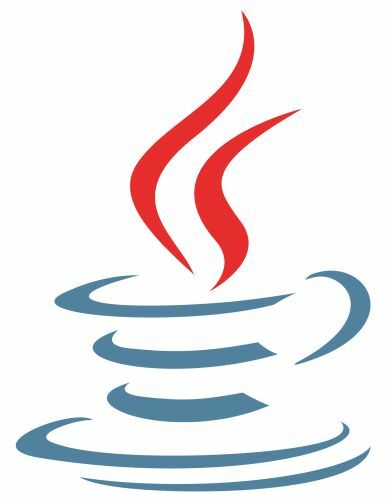 Java Runtime Environment contains the Java virtual machine, runtime class libraries, and Java application launcher that are necessary to run programs written in the Java programming language. Java technology is an object-oriented, platform-independent, multithreaded programming environment. Whether developing applications for consumers or mission-critical deployments, you can depend on a consistent programming environment. Java is everywhere - and for good reason. As the foundation for virtually every type of networked application, Java is the global standard for developing and delivering mobile applications, games, Web-based content, and enterprise software. For nearly 20 years, Java has helped businesses provide end users with leading-edge functionality in consumer gaming, Web, and enterprise applications. Java technology was created as a computer programming tool in a small, secret effort called "the Green Project" at Sun Microsystems in 1991. As it turns out, the Internet was ready for Java technology, and just in time for its initial public introduction in 1995, the team was able to announce that the Netscape Navigator Internet browser would incorporate Java technology. Now, the Java platform has attracted over 5 million software developers, worldwide use in every major industry segment, and a presence in a wide range of devices, computers, and networks of any programming technology. Today, you can find Java technology in networks and devices that range from the Internet and scientific supercomputers to laptops and cell phones, from Wall Street market simulators to home game players and credit cards - just about everywhere. The best way to preview these applications is to explore java.com, the ultimate marketplace, showcase, and central information resource for businesses, consumers, and software developers who use Java technology. Java is one of the most popular application platforms on the planet. Which version of Java is right for you? * Java Platform, Standard Edition (Java SE) is the best platform for development of desktop, server and high-end embedded devices, and it is the most versatile runtime for Java as well as many other languages. * Java Platform, Micro Edition (Java ME) is the best software for resource-constrained embedded devices and has seen widespread deployment across mobile handsets and digital television devices. * Java Platform, Enterprise Edition (Java EE) is the standard for delivering secure, robust, scalable, multi-platform applications and services across the enterprise, from server and desktop applications to wireless and wireline applications.